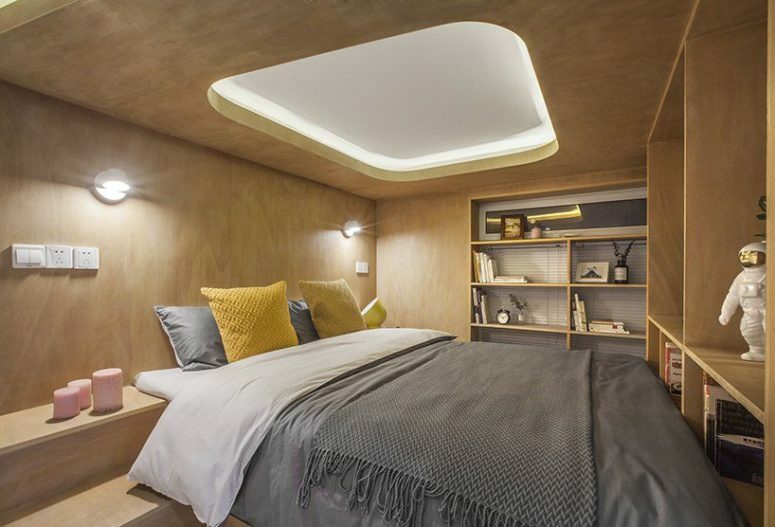 Architects and interior designs are constantly struggling to pack as much function into as little space as possible but besides all the challenges they take, the hardest thing is to avoid a claustrophobic feeling in the dwelling. 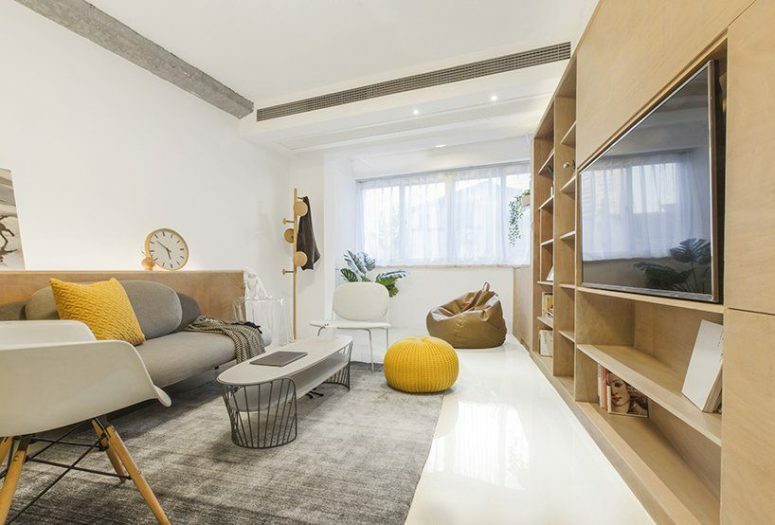 TOWOdesign has recently redesigned a loft in Shanghai and this is a great example of how to create such a home without making it look tiny. 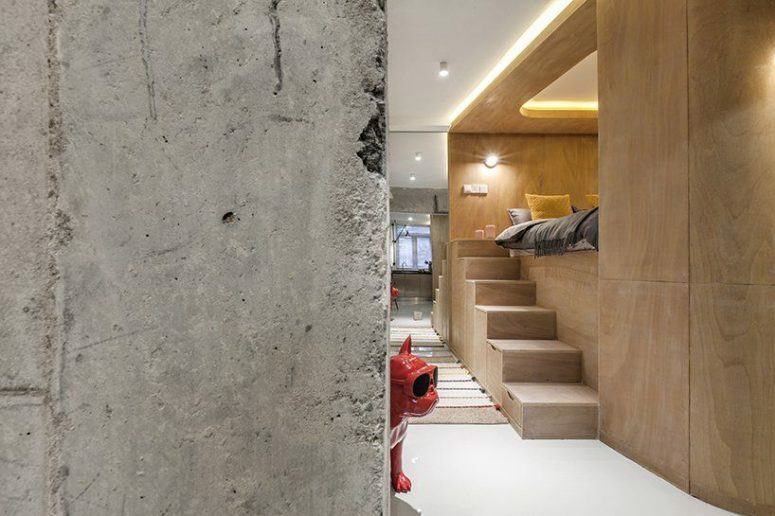 The apartment only measures 48 square meters in total but that doesn’t stop it from being very bright, open and airy. 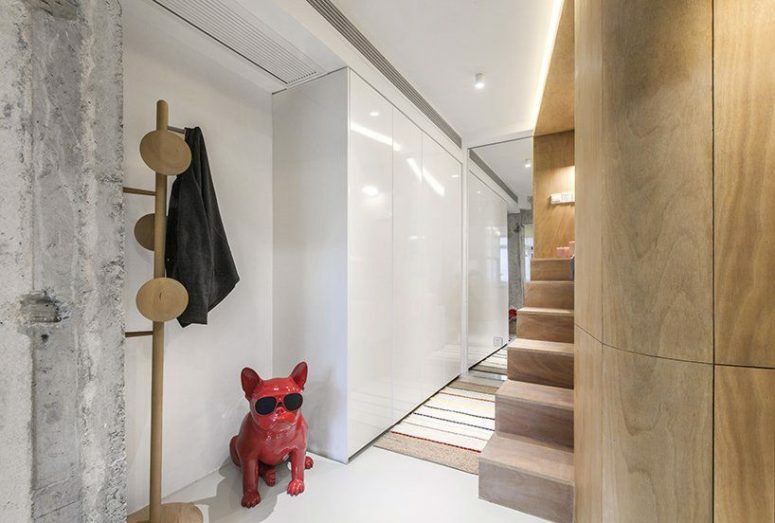 To achieve the perfect balance between looks and functionality, the designers organized the apartment into a series of function boxes. 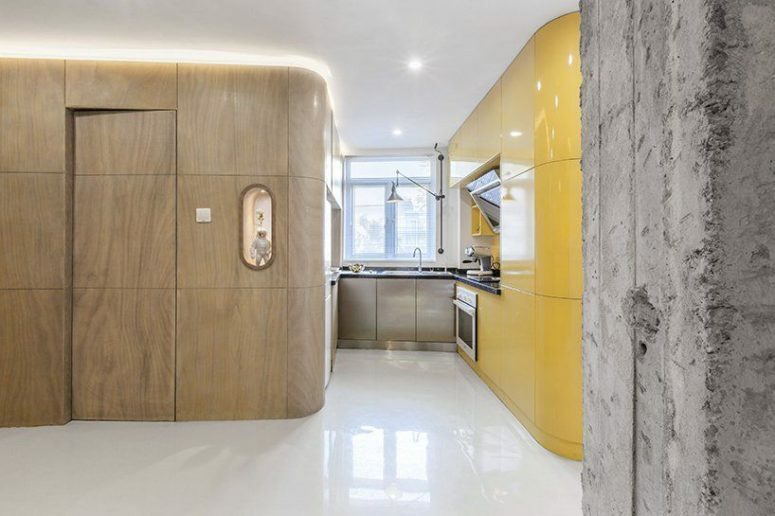 The walls, flooring and ceilings are white throughout the apartment, with the exception of a few exposed surfaces. 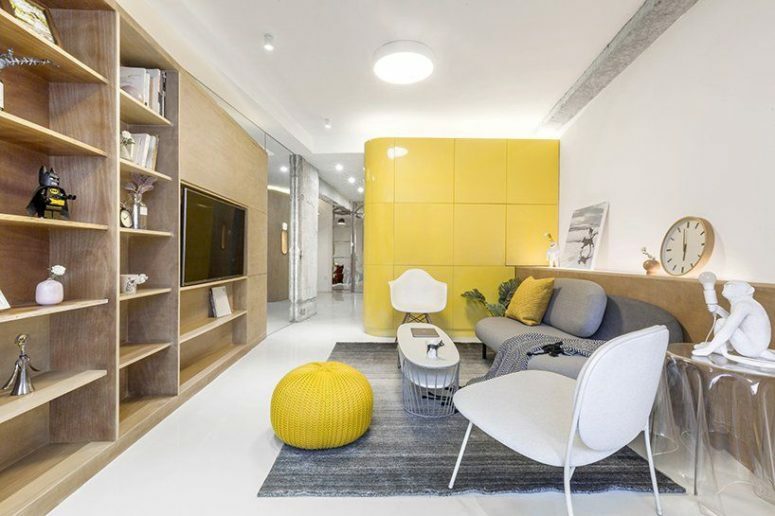 There are some mirrored surfaces that are placed strategically to enlarge the space visually. 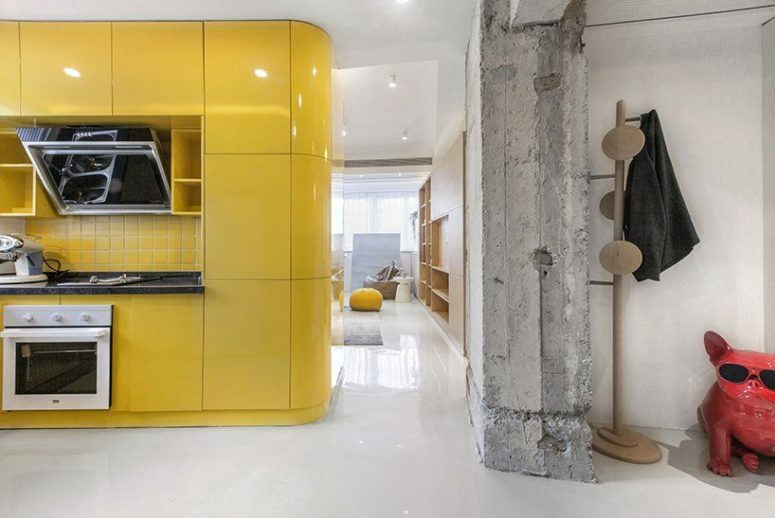 The center of the apartment features a yellow box, which incorporates the kitchen cabinetry and which acts as a separator between the sleeping box and the living area. 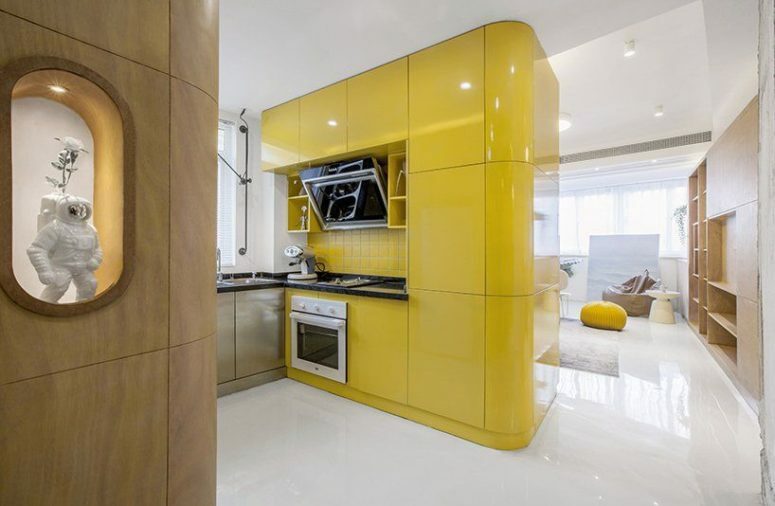 This yellow box is like a ray of sunshine, cheering up the decor and making a bold statement. The bold color of the kitchen box is complemented by light wood accents, grays and crisp white surfaces. The living space is open and airy, with plenty of natural light and a very comfy and casual feel. The sleeping box is at the opposite side of the apartment and is covered in wood which gives it a warm and cozy ambiance. 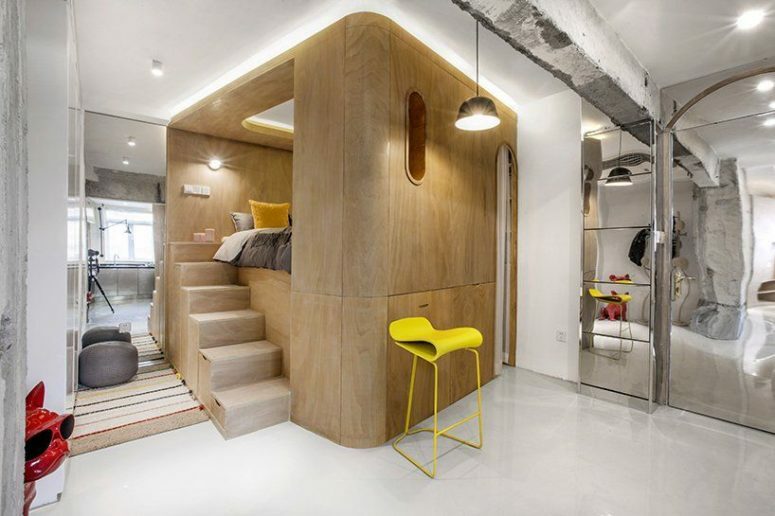 Every inch of space is used for something, which helps to make the apartment spacious.